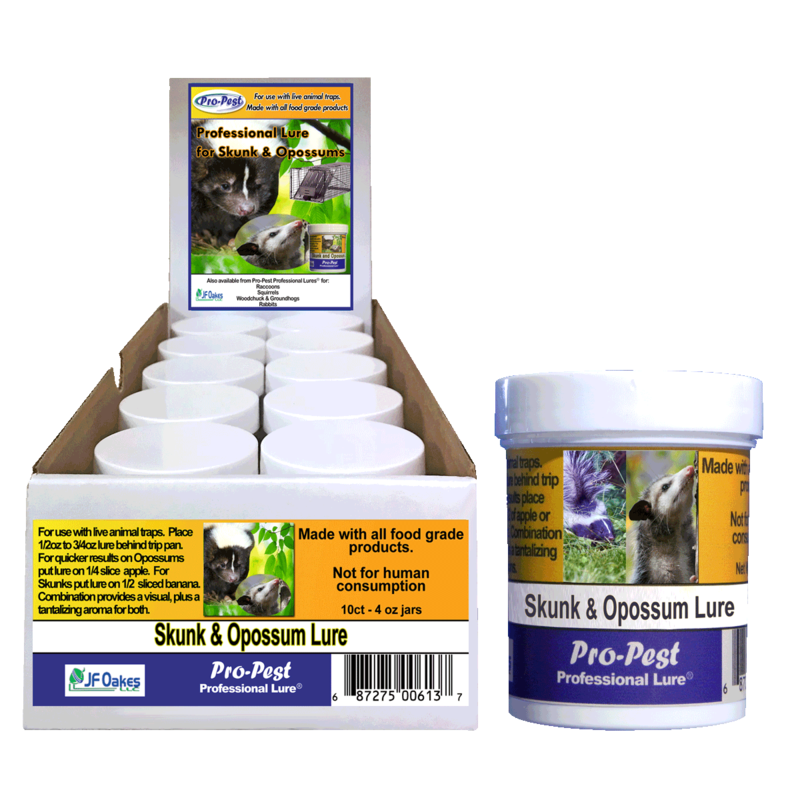 100% food grade ingredients, containing a strong, mouth-watering fruity aroma to lure both Skunks & Opposum. 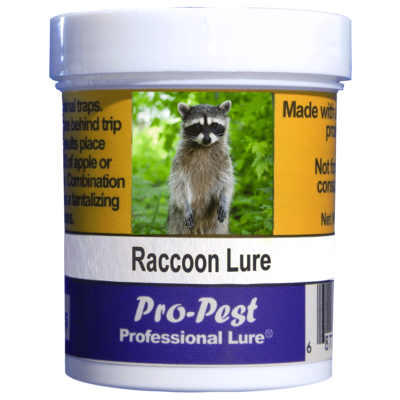 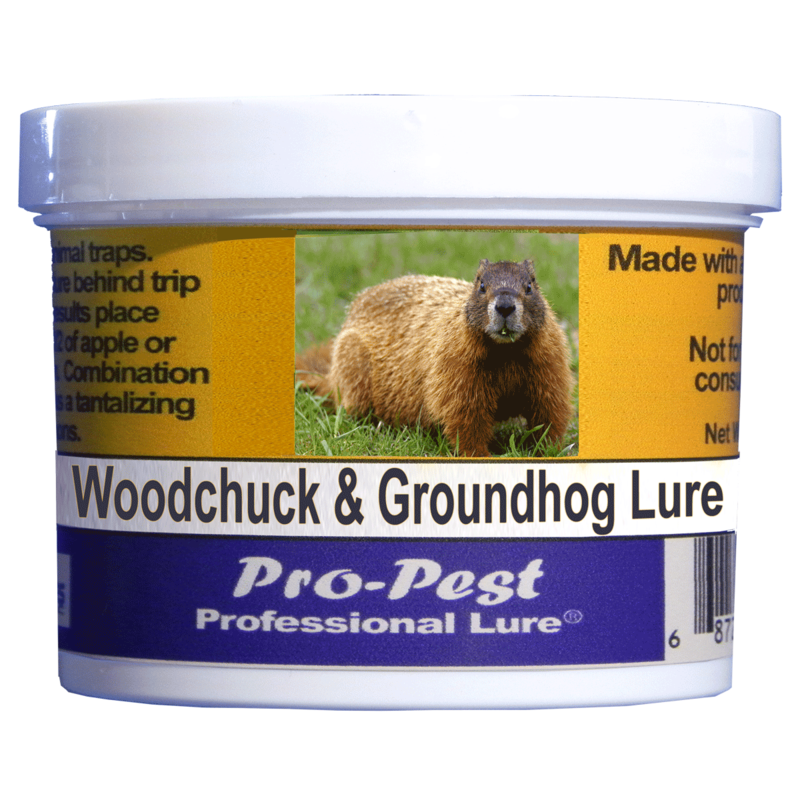 Pro-Pest Professional Nuisance Wildlife Lure for Skunk & Opossum is made of 100% food grade ingredients, containing a strong, mouth-watering fruity aroma along with other tantalizing odors that skunks and opossums can’t resist. 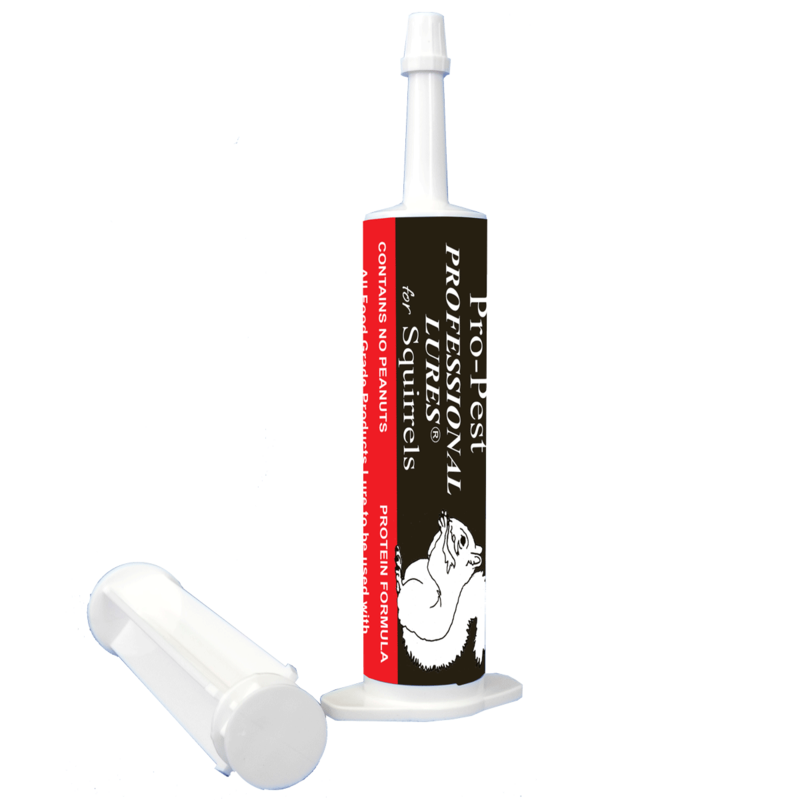 Will not dry out. 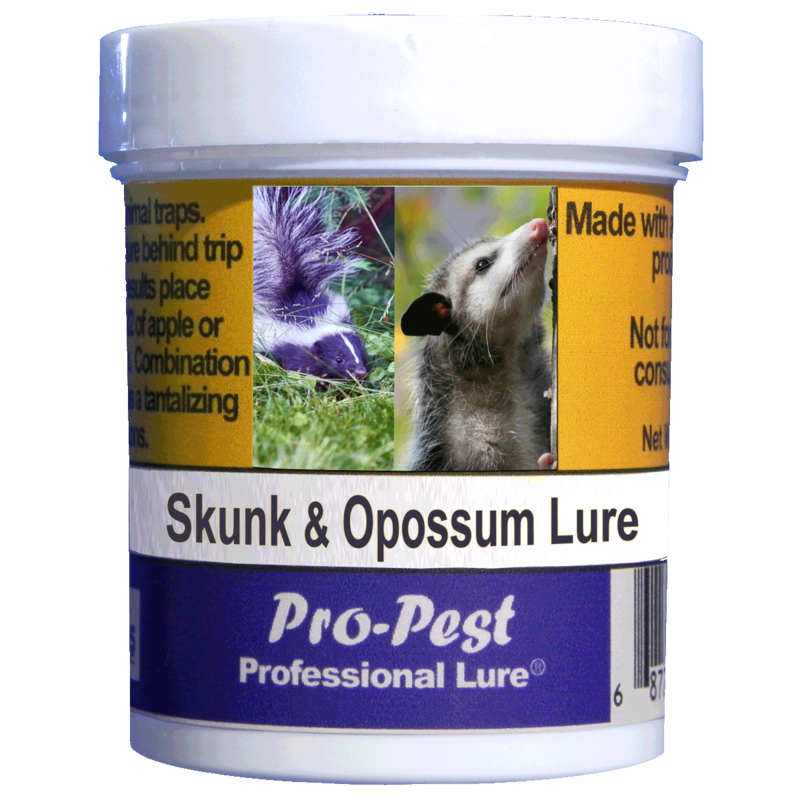 Place 1/2 – 3/4 oz behind trip pan in the live animal trap. 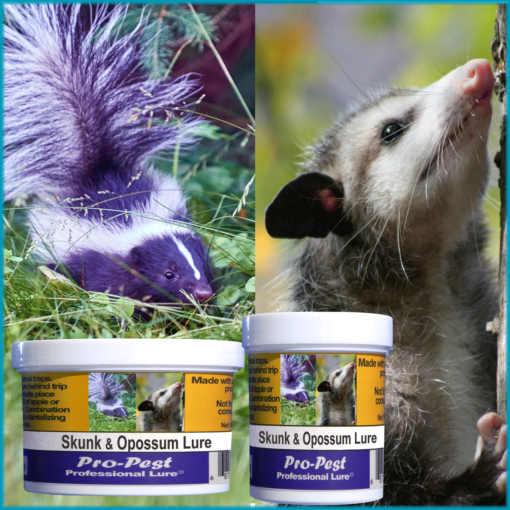 To enhance catch results, include a visual by applying Pro-Pest Skunk & Opossum lure to a slice of apple (for skunks) or on a sliced banana (for opossums).